What is APR? What is a credit check? What is a payday loan? All of these are common questions and many people have difficulties with some of the language relating to credit. In this article we will look at some of the jargon and terminology relating to home loans, credit card accounts and payday loans and lenders. Taking out a payday loan is easy and fast. Not so a mortgage or a credit card. 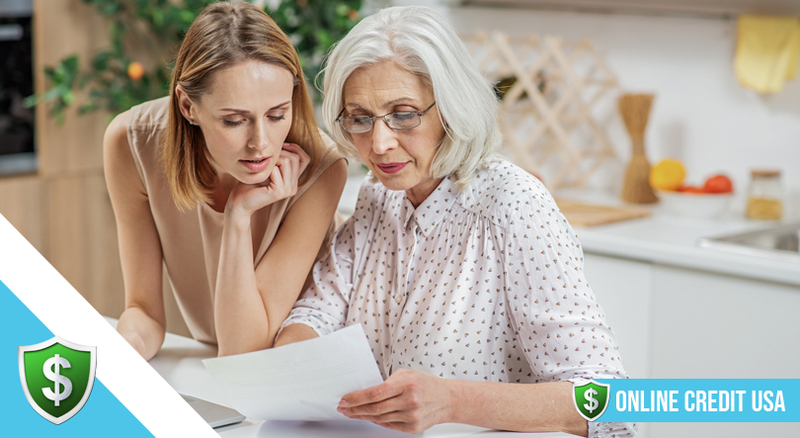 But, before you take the step of borrowing money from any source it is important to make sure that you understand some of the terms that relate to loans and credit. Buying a property is the single biggest expense that most people make in their lifetime. If you are concerned that some of the jargon written in the contract is made up of terms with which you are not familiar, this list of explanations will help you to understand what is meant. Home Loan – This is the money that you are borrowing to pay for your home. Typically, a home loan will cover around 80% of the price of the property and the rest of the value will be paid as a deposit. The term mortgage refers to the legal document that establishes the property as security for the home loan. ARM – Adjustable Mortgage Rate – This is the interest rate. 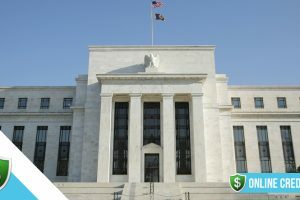 It may start off with a special low rate but will then rise or fall according to the FED interest rate. An ARM may be capped so that the rate does not rise above a certain figure. APR – Annual Percentage Rate – This is the interest rate that must be declared on all financial contracts. The APR will include all or any fees that may be applied to a loan. Cash Out Refinance – Also known as a home equity loan or second mortgage, this type of loan allows you to release money from the value of your home. e.g if you owe $50,000 on a property that is valued at $250,000, you can release funds out of the $200,000 equity. Of course, this will increase the monthly repayments on your home. Collateral – The property that you are buying is the collateral for the loan. If you do not make the repayments, the lender is entitled to repossess your home. Home loans should not be taken out unless you are sure you can afford the repayments. Closing Costs – Closing a contract means that all the paperwork is completed on a house sale or purchase. Closing costs detail the fees that include title deed searches, documentation fees and attorney fees. Equity – Equity is the amount of value in your home that is not covered by a mortgage, see Cash Out Refinance. Escrow Account – An escrow account is held by a lender and the money for property taxes and insurance are paid out through this account. It is completely separate to the home loan account. Fixed Rate Mortgage – A mortgage rate that is fixed either for a specific period of time or for the lifetime of the loan. Hazard/Homeowner Insurance – This insurance covers the property owner and the lender against damage to the building. Lenders will insist that this insurance is in place so that the collateral for the loan is secured. Home Inspection – An inspection is undertaken by a licensed inspector to ensure that the value of the property will cover the loan. Lenders will insist on an inspection before they release the home loan funds. Lender Fees – Lenders may charge fees for processing an application and these fees are included in the closing costs. Loan Maturity – A home loan runs for a specific number of years and when it ends it is said to have matured. A this point you become the owner of the property and the details of the lender are removed from the deeds. No Fee Mortgage – A typical no fee mortgage may be offered to attract buyers but the interest rate will usually be higher than those on offer from other lenders. It is always best to shop around for the best deal. Pre-Qualification – Lenders may approve the sum of money for a home loan in advance. This allows you to have more flexibility when you are searching for a property. Prime Loan – This is a home loan that is offered to borrowers with a good credit record and it will fall within the limits set by a range of mainstream lenders. i.e. the interest rate will not be excessively high. Principal – This is the sum borrowed on a home loan. When you are paying off the loan, the monthly payment will pay some of the principal and the rest will be paid off the chargeable interest. Sub Prime Loan – This is a high risk, high interest rate loan that is offered to borrowers with a poor credit record. Underwriter – An underwriter is the person who decides whether or not you are creditworthy and can qualify for a home loan. These are just some of the common terms associated with home loans. If you still require clarification for any other piece of jargon you can find a full list by searching online. Credit cards are a part of daily life for most people in the US but many of the terms printed in the agreement can be obscure. Most people do not read the small print when taking out a credit card account but if they did they would see some of the terms listed below. Some of these are acronyms and some are commonly used but you may not have come across them before. Account Number – This is the unique identifying number that is embossed and encoded in the actual plastic card. It only applies to your specific credit card account. Annual Fee – Some card accounts charge an annual fee and this is a separate amount from the interest charges that are applied each month. Annual Percentage Rate – The APR is the yearly interest rate that is charged on the monthly outstanding balance of the account. All lenders are required by law to advertise the APR so that consumers may compare cards and search for the best deal. Authorization – Retailers who accept credit cards each have a purchase limit and if the cost of the goods you are buying is above that limit they will ask the card issuer to authorize the payment. A purchase limit is also known as a floor limit. Automated Teller Machine – The ATM is the terminal where you can withdraw cash, check your balance or make deposits to accounts. Average Daily Balance – This is the balance which is used to calculate the interest each month on a credit card account. Balance Transfer – A balance transfer allows you to transfer the full outstanding balance from one credit card to a new card. Many card companies charge a balance transfer fee for this service. Billing Cycle – The time between statements which is typically between 28 and 31 days. Cash Advance/Fee – A credit card company will charge a fee if you withdraw cash from the ATM using a credit card. The fee is usually 3% of the amount and there will also be a minimum fee if the sum withdrawn is small. In addition, a cash advance is usually charged at a higher interest rate than a simple purchase. Cash Back – Some credit cards give you cash back after you have used them for a specific length of time. The cash back will be a percentage of what you have spent. Credit Limit – This is the amount that you can spend on a credit card account and each limit is individual to the customer. Spending more than the limit will incur high charges and the card may be declined. Fraud Alert And Fraudulent Transaction – If a card is lost or stolen the account holder and the issuer may place a fraud alert on the account to prevent misuse of the card. This alerts the retailer that the card should not be accepted. Introductory APR – A low introductory interest rate that runs for short time period after which the rate is raised. Minimum Payment – This is the payment that you must make each month in order to keep within the terms of the account. Failing to make the payment can mean your account will be suspended. Overlimit Fee – This is a fee that is charged if you spend over your credit card limit. PIN – A PIN is a personal identification number that is used to verify the identity of the person using the card. You are required to enter your four digit PIN when making purchases or when using an ATM. Pre-Approved Card – A pre-approved credit application does not mean you will automatically get an account. You will still have to pass credit checks and if your record is poor the issuer may ask for a higher interest rate. Statement – A monthly statement is issued on credit card accounts and this will give details of all purchases, payments, interest charges and the minimum amount that must be paid by the due payment date. Variable Interest Rate – Some credit cards have a variable rate of interest that will go up or down according to the FED rates. It is always worthwhile reading through the terms and conditions attached to any financial product. If you come across any terminology about credit cards that is not covered here you will be able to find a full glossary online. First, what is a payday loan? Sometimes advertised as a cash advance, a payroll loan, a small dollar loan or a salary loan, a payday loan is a very short term loan for a small amount of cash that must be repaid when you next receive your salary. Payday loans do not run for more than 31 days. Any loan that runs for longer is not strictly a payday loan but a short term loan with set repayment amounts and dates. There has been a steady increase in payday lenders in the US and this kind of loan has become one of the most contentious financial products sold in the US. Some of the problems that have been exposed in the press are due to the fact that not everyone fully understands what they are signing up for and what the jargon associated with the loans really means. 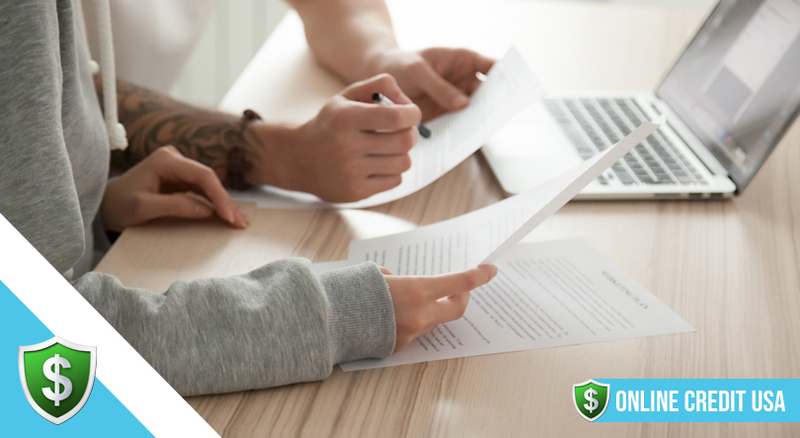 Any financial loan can be dangerous but if you have an understanding of what the terms and conditions of a loan mean, you will be in a better position to make a choice about whether or not to sign an agreement. You can read below some of the most common written terms that relate to payday loans. They come with an easy to understand description of what the phrases and acronyms mean. Annual Percentage Rate – The APR quoted for a payday loan is worked out as a percentage of the amount borrowed. Typically a payday loan will have a much higher interest rate than a personal loan. All lenders are required by law to print the APR of a loan and the rate includes any charges or fees. Using the APR you can easily compare rates between lenders. Bounced Check – Lenders may ask for a post dated check for the amount of the loan including the interest. If the check fails to be cleared when the lender presents it at the bank, you will be charged a fee by the lender and the bank. The lender may also take you to court is there are insufficient funds in the bank account to pay out a check. Collateral – Collateral is an item put down as security that a loan will be repaid. This is not usually needed for a normal payday loan and is used more for car loans. Collections And Collection Fees – When a loan is unpaid the lender may pass the debt to a collections agency which will attempt to collect the funds either by harassment or by taking out a civil action against the borrower. A fee may be charged for any or all attempts at collecting the money that is owed. So, if a lender repeatedly tries to draw funds from your bank account you could be charged for each attempt. Compound Interest – Interest is charged for a payday loan and the figure must always be transparent. If a debt remains unpaid the interest is added to the principle sum and the next amount of interest is calculated on the higher balance. Credit Check – Payday lenders will sometimes but rarely institute a credit check before agreeing to a loan. There are three credit bureaus which hold credit scores for all consumers. If the credit score is too low a loan may be refused. Default – If you default on a loan it means you have not made the repayment in full and on time. A default is not just a missed or late payment but a situation where you have decided to give up trying to pay off the loan. 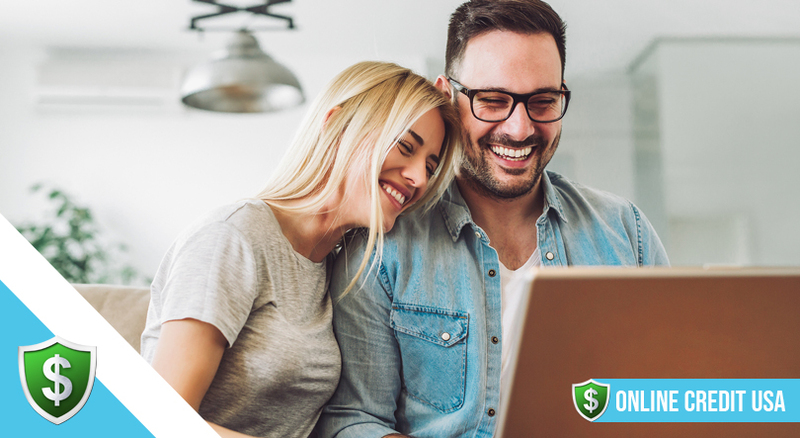 Direct Deposit/Electronic Transfer – Payday lenders may choose to deposit a check directly into your bank account or send the funds by electronic transfer. Direct Lender – Some payday lenders are brokers and are best avoided. A direct lender is able to agree a loan without referring to any other bank or institution. Early Repayment Charges – Some lenders charge a fee if you are able to pay off the loan early. It is always better to check for this clause before signing up for a loan. FDIC – The Federal Deposit Insurance Corporation – This is the organization that insures bank deposits so if a bank goes bust, any savings in your account are secured. Most mainstream banks are members of the scheme. 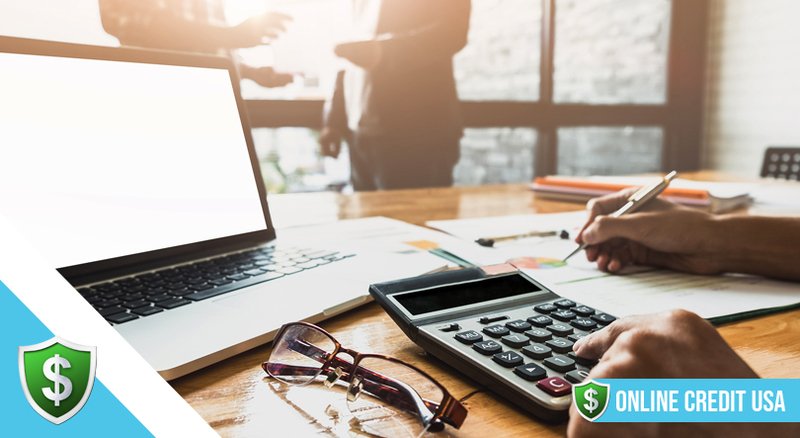 Loan Calculator – Most lending websites have an online loan calculator which you can use to check up on the repayment amount before taking out a loan. Loan and Loan Fees – Very straightforward: a loan is the money you borrow under an agreement to pay it back with interest added. Loan fees are additional charges other than the agreed amount of interest that may be added to the loan amount. Fees cover administration costs, transfer costs, late payment fees and transaction fees. Loan Shark – An illegal lender who will charge very very high rates of interest and who does not operate within the regulations of the usual financial organizations. Long Term Repayment Plan – This is a plan set up by lenders when you are unable to repay a payday loan at the agreed time. The repayment can be made over a number of months at lower amounts than the original one off payment. Depending on where you live, a lender may or may not add extra interest charges to the balance. Loan Maturity Date – This is the point when a loan comes to the end and is repaid in full. Payday loans are usually fully redeemed within 14 to 31 days. Maximum Allowed Loan Amount – There is a limit to how much you can borrow on a payday loan. Each state has different rules and lenders also apply a variety of criteria so the loan sum allowed may depend upon the amount you earn and what other monthly expenses you have. NSF Fee – Non Sufficient Funds Fee – This is a fee charged when the lender tries to cash a post dated check but the bank account does not hold enough money to honor the payment. Payday Fees – Most lenders will ask for an upfront one off fee for allowing a payday loan. Sometimes the fee is paid later by adding it to the principal and interest of the loan amount. Predatory Loans And Lenders – Heavily advertised as easy to get, a predatory loan and lender will charge extremely high rates of interest as well as higher than normal fees. These loans are always on offer to vulnerable people who are desperate and they can lead to a vicious cycle of debt. Principal – This is the amount of money that you borrow and does not include any interest charges. Proof Of Income – Lenders typically ask for proof of income as well as proof of identity. Proof of income can be a paycheck, a social security payment or a payment for disability. As long as you can prove you receive a regular form of income you can apply for a payday loan. Responsible Lender – A responsible lender will only allow you to lend money if they are sure you can afford to make the repayment and that you fully understand the terms of the loan. Specialized Consumer Reporting – These are agencies that keep a database of borrowers with outstanding payday loans. Lenders will check to see whether you are on the list before granting a further loan. Text Payday Loan – Modern technology allows approval of a payday loan by text. You have to contact the service and provide the necessary information and then the loan is paid directly into your checking account. Usury Laws – This is an old term for very high interest lending. Each state has a different interpretation of usury which means that interest rates are capped in some states but not in others. You can see which rules apply in your home state by clicking on the link. Verifying Employment – A paycheck or letter proving that you hold down a regular job and receive enough in your salary to pay off the loan. Wage Garnishment – Wage garnishment means that in the event of a default, the lender may take the debt directly from your account when you have been paid. The above are most of the common terms used about payday loans and lenders. The rules regarding payday loans differ within each state and each lender may also apply different criteria to any application for a loan.